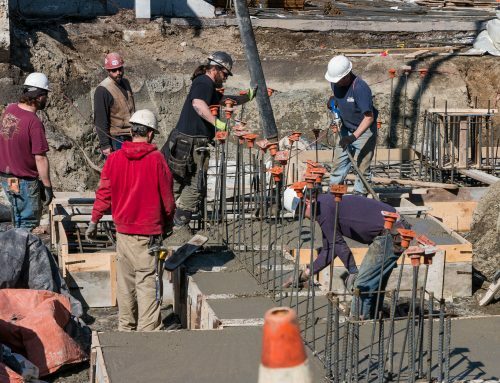 As we build a better FBO at Northeast Air, we’re sure to hit several major milestones. 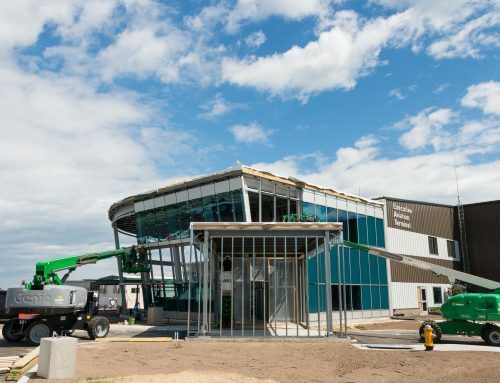 From the first shovel full of dirt to the final pane of glass installed, these milestones will mark significant events in our quest to be the best FBO we can. We have recently hit several milestones in the creation of our new FBO. Starting early in the morning, a bright red and gray excavator began tearing into the former Portland International Jetport terminal building, a small box of a place that had long outlived its time. With a loud crunch, the walls began coming down, making room for our expanded operations. The building held a great deal of history for the Jetport. From its earliest days as the main airport terminal to its final days as office space, the building was a fixture of PWM. Sadly, the building had fallen into disrepair, so it was time to move on. The next phase of construction has been installing the steel beams that will support the structure of our new lobby. 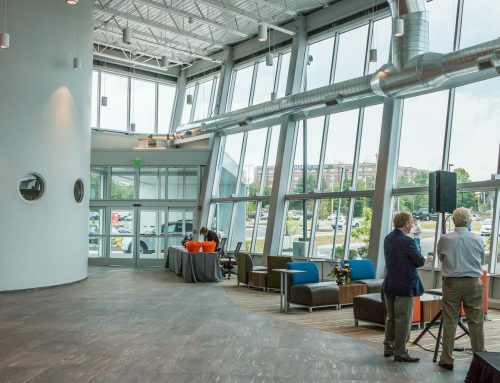 The design calls for a tall, open space with a wide expanse of windows looking out on our ramp. 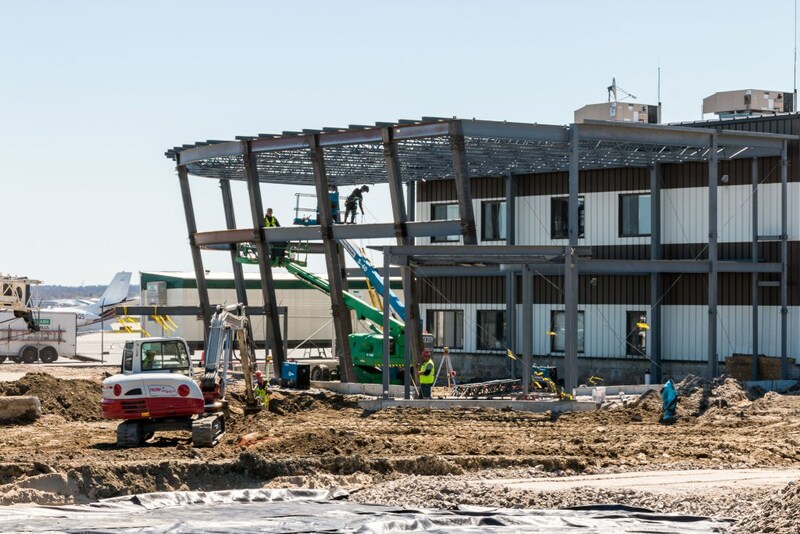 To make that happen, a steel skeleton was erected off the end of the existing FBO building. Soon, this frame will be covered in beautiful glass panes, giving the new building a sleek, modern look. Meanwhile, interior demolition and refurbishment will begin as well. Our line counter and waiting area will move to a temporary building located on the ramp, and will be clearly marked with signs and escorts. 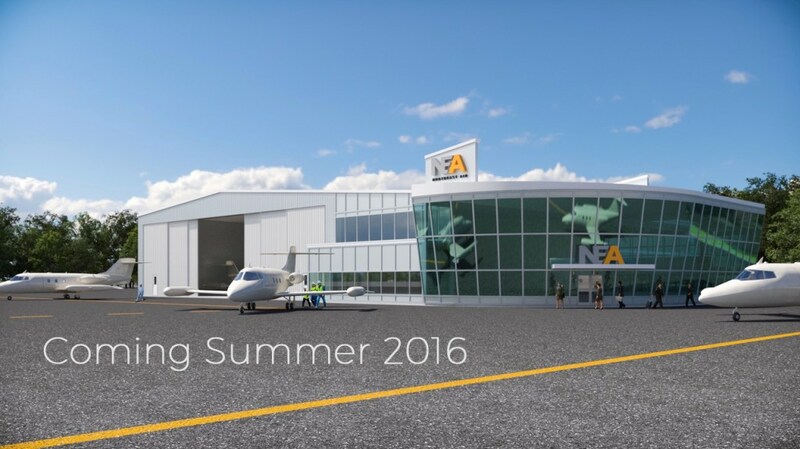 We plan on opening the doors to our brand new terminal in late July of 2016. Stay tuned to the blog for more updates.